There are many flooring materials available in the market that weren’t too popular until recently; laminate is one such flooring. Even up until a few years ago, laminate flooring would only be found in commercial establishments like hospitals and stores. People perceived it to be cheap and undesirable. However, times have now changed and laminate flooring is widely used in commercial, industrial as well as residential spaces. 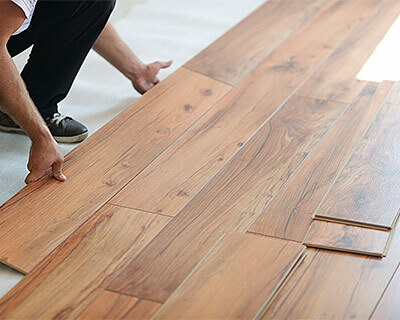 At Moriarty Floor Covering, we’ve handled laminate floor installation projects for clients across Bloomington, Martinsville, Mooresville, Franklin, Greencastle, and Greenwood. Our clients have very positive opinions on this floor and find it a great alternative to wood. We’ve installed laminate on commercial and residential properties in Bedford, Columbus, Seymour, Plainfield, and Beech Grove with great results. This particular flooring is definitely a great choice for any property. Affordability – Without question, this is one of the most appealing qualities of laminates. It’s relatively inexpensive to install. In fact, these floors are 20 to 30% more affordable than hardwood floors, and can save you hundreds, if not thousands of dollars. Easy Installation – No other flooring is as easy and quick to install as laminates. This reduces labor costs and lowers your overall flooring expense. The individual planks are specifically designed to click into place with just a tap of the hammer. Our experienced installers can finish a room in less than a day. Versatility – Laminates are available in a variety of designs, textures, and finishes. That has increased their overall appeal to our clients. 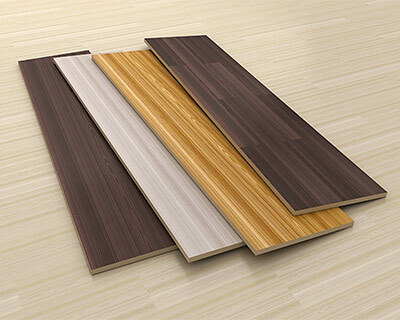 You can choose planks with wood-grain finish, embossed finishes, natural stone-like finishes, etc. They look great and sometimes it’s very hard to distinguish between real wood and stone from laminates, just by looking at them. At Moriarty, we’ve worked with laminates for several years now and understand how to install these well. Our experts ensure that the surface is completely even and all planks are clicked into place. Our installation process is quick and efficient, which our commercial property clients always appreciate. We stock high-quality laminates from a variety of well-known brands, including Tarkett, Timeless Designs, Shaw, and Armstrong. We’re familiar with the market and will offer suggestions on products and designs to help you make the right decision. If you have any questions about our products and services here at Moriarty Floor Covering, feel free to get in touch with us. You can call us at 812-824-5555 or fill out our contact us form and we’ll get back to you as soon as possible. © 2019 Moriarty Floor Covering Inc.